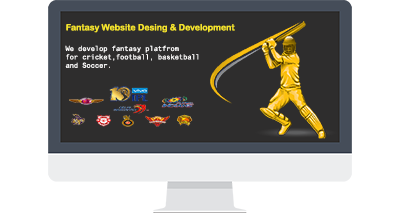 We are best fantasy website and apps development company, we successfully hosted 10+ project in multisport like Cricket, Football and Basketball. The fantasy games are one of the most phenomenal businesses which grow into the billion-dollar industry. The major reason for the popularity of virtual games is the reality that sports lovers feel like they get an original stake in the overall performance of their favorite teams and players. The fantasy sports fans desire to notice themselves as the strategists, so they create the fantasy hockey, basketball, and football or baseball team. If you want to get success in this fantasy sports business, you can develop an eye-catching and innovative app. We are trusted names in the world of the modern Fantasy sports website Development System. Our team is highly developed fantasy sports software and gaming platforms making most business secure, reliable and transparent. Our team would embed the ultimate technology based on the fantasy solutions across the different sports that includes the football, cricket, basketball, soccer, hockey, baseball and many others. Our website design development is completely based on the highly customized, responsible, robust, and intuitive as well as perform exceedingly. We enable the modern fantasy sports business with easily providing the users with the fair game plays, transparent reward distribution, and trusted platforms. Fantasy sports games have swept across the entire globe by helping more number of players to reach the new height without any hassle. We are excellent in building the world-class daily fantasy sports solutions with more features. Our website design and development is completely based on the realm of the sports and also helps the business to extensively venture the business into the non-traditional channels. Why invest in fantasy app development? If you run a fantasy sports business and you want to promote it, you can find out the best promotion technique. When it comes to an app, it helps you to increase the visibility of the fantasy sports business easily. 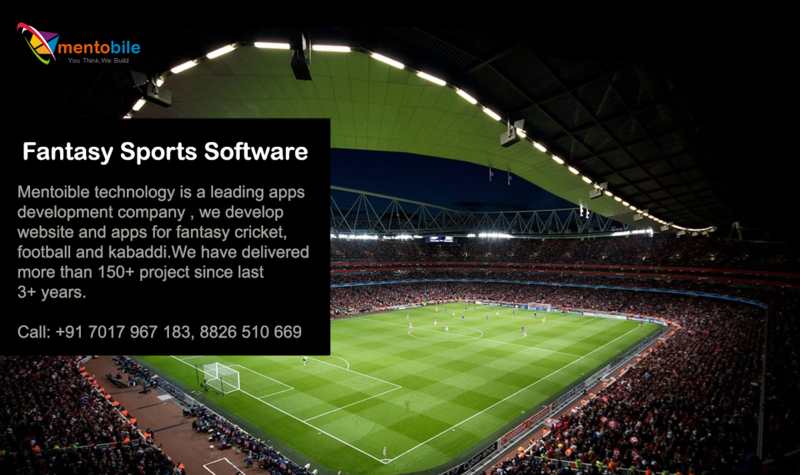 It is the main reason for using app development service in fantasy sports business promotion. When you decide to promote your fantasy sports business, you can hire our fantasy app design and development company.We are the skilled app developers who come with the finest range of fantasy app development services. Our app designers and developers are experts in using advanced technologies and tools. Our app developers work hard to turn your ideas into an effective and outstanding fantasy application. The specialized efforts let us exceed the needs of our fantasy sports business clients. The important thing about our company is that it develops different kinds of the app including ios, android and much more. In short, we are creative and knowledgeable to under the individual demands and business needs of our fantasy sports business clients. The precise understanding helps us to provide complete satisfaction and matchless results to our business clients. Moreover, we offer app development services for various operating systems.